Anyway, the Bruins failures and miscues aside, it was a wonderful time to be a Boston Sports Fan and WBZ TV put together a wonderful piece that runs for a little over four minutes in length, capturing some of the most memorable moments from the decade. I have included a link to the video file for your enjoyment. The file is rather large (30+MB) but certainly worth watching if you have ample bandwidth to download it. Of most importance, of course, is the quick shot of some fans atop Fenway's famous Green Monster at about the 4 minute mark... It's a shot of some clown in a Red Sox jersey whooping it up after catching a home run ball... That clown also just happens to be me. 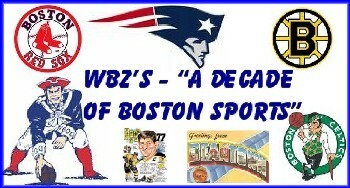 My 15 minutes of fame continues as a small piece in this awesome recap of an amazing decade in Boston Sports History... Ha!